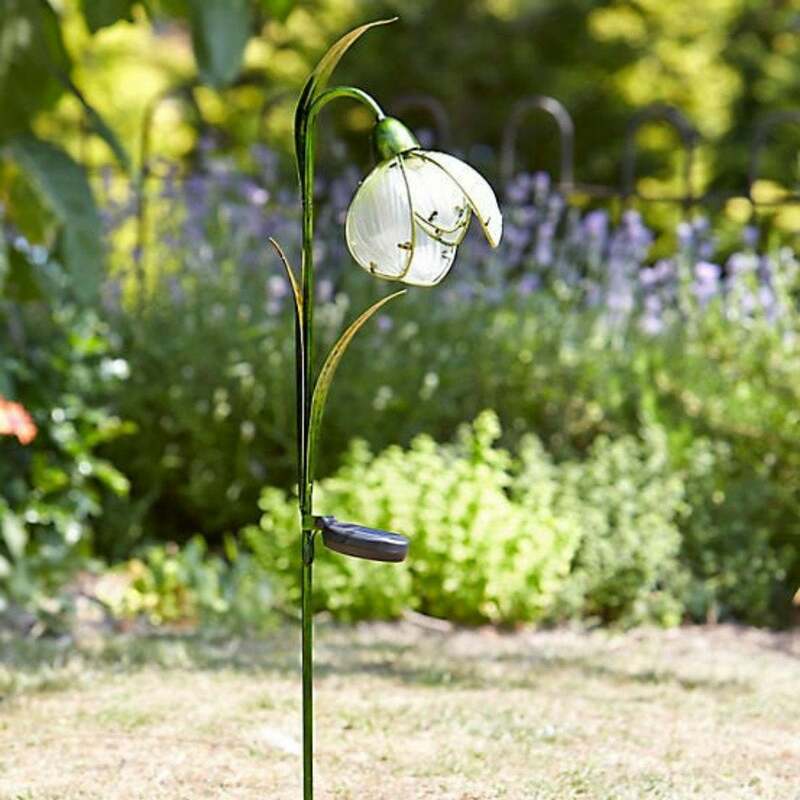 This pretty solar powered Snowdrop stake light from Ruddick Garden Gifts is made from robust metal and hand painted glass. 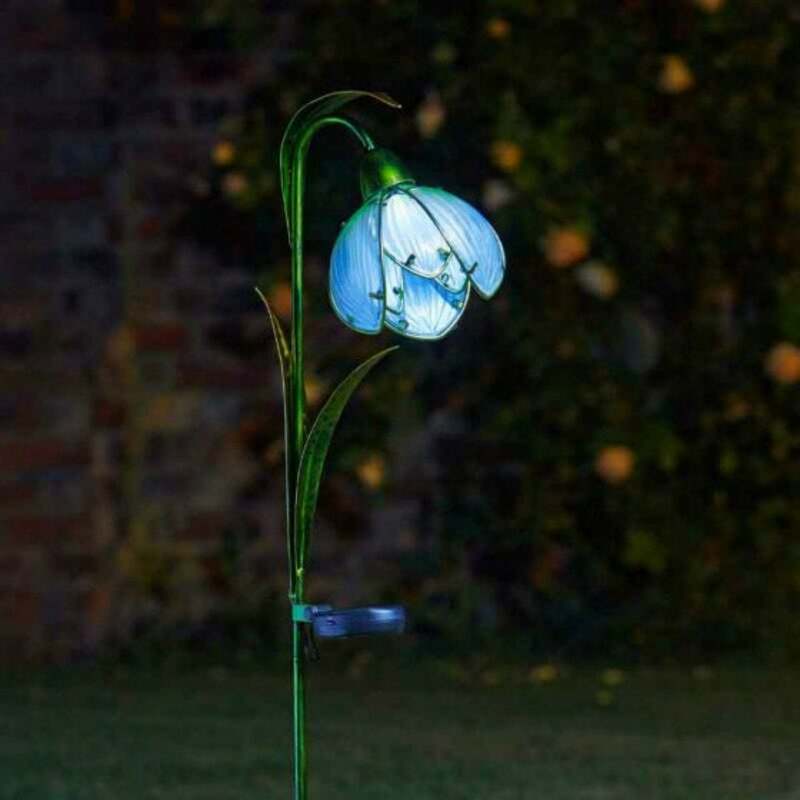 This solar powered light comes boxed and would make a fabulous gift for anyonw who loves their garden. The solar powered snowdrop light looks great throughout the day where it charges in direct sunlight then as a solar light at night is looks stunning. The snowdrop stake light comes with a replaceable rechargeable NiMh battery.